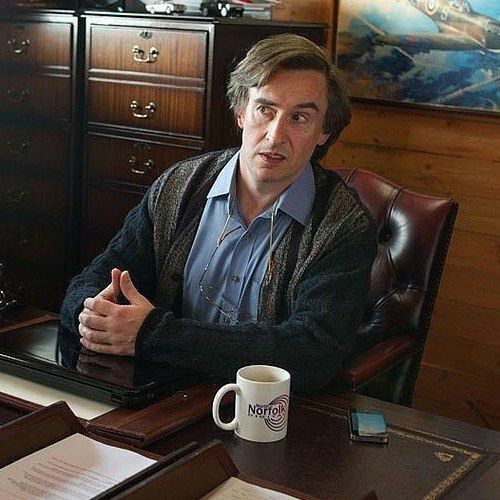 We have our first evidence that Steve Coogan has actually completed his long-promised comedy The Alan Partridge Movie with the first photo of Steve in character as the popular UK radio and television personality. Opening internationally on August 16th, the U.S. does not yet have a release date confirmed, despite Alan Partridge going global in this continuation of the character that has spanned two radio series, three television series, and numerous TV and radio specials. The Alan Partridge Movie will change its title before release, and at this time, nothing is known about the plot except that it will take place in Norwich, and may involve the take over of Alan's current employer by a major conglomerate that will bring the host to U.S. shores and beyond.